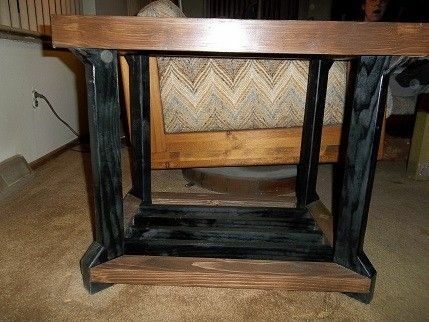 Unique End Table Design. 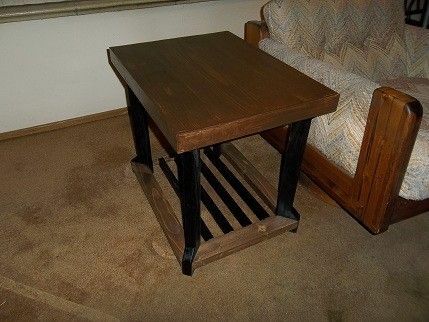 Constructed out of pine, oak stain and black paint. Lower shelf for decoration, magazines.